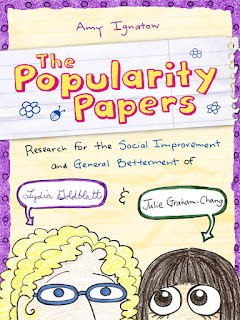 Lydia and Julie are best friends with one goal: to crack the code of popularity. Lydia’s the bold one: aspiring theater star, stick-fighting enthusiast, and human guinea pig. Julie’s the shy one: observer and artist, accidental field hockey jock, and faithful recorder. In this notebook they write down their observations and carry out experiments to try to determine what makes the popular girls tick. But somehow, the harder Lydia and Julie try to imitate the popular girls, the farther they get from their goal—and each other. 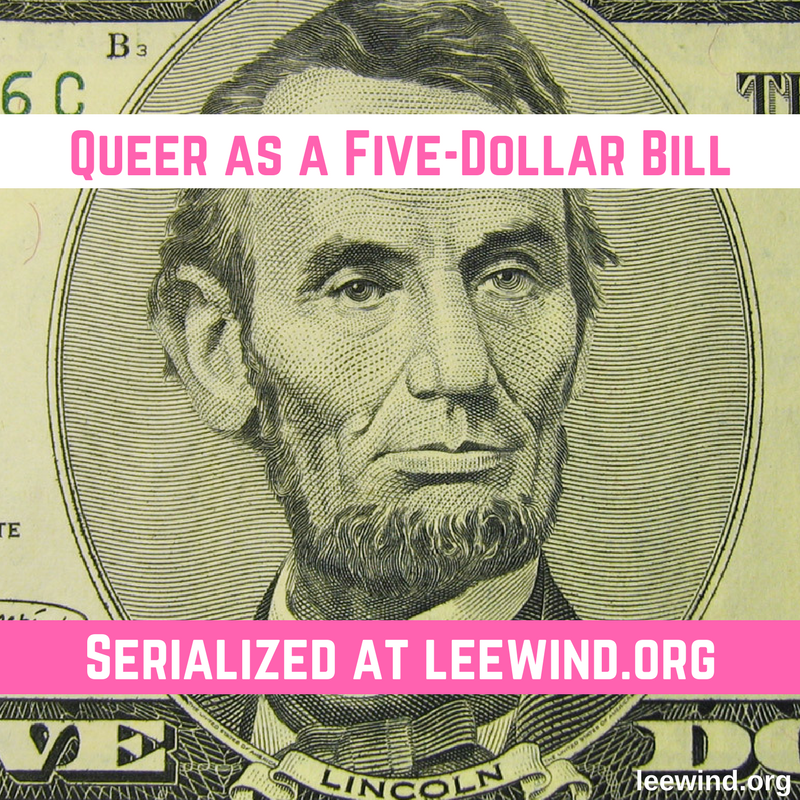 What's queer about it? Julie has two dads. After spending all of fifth grade studying popularity together, Julie and Lydia are finally ready to put their hard-earned lessons to use in junior high. But before they can, disaster strikes: Lydia’s mom gets a job in London for six whole months! 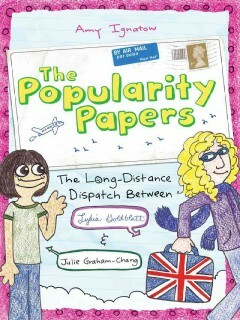 Before Lydia can say “Fancy a cup of tea?” she’s thrust into a new school, where she earns a reputation as “the Violent American.” Meanwhile Julie’s stuck navigating the cliques of American junior high on her own and is adopted by a group of troublemaking eighth graders known as the Bichons. The two best friends will have to learn to keep in touch and stand on their own, assisted as always by their trusty notebook. After spending six months apart in Book Two, best friends Julie and Lydia are reunited at last! Julie has said good-bye to the mean girls, and Lydia is ready to apply her hard-earned friendship lessons to founding their own crew. But bad news interrupts their reunion: their friend Sukie’s mother, ill for many years, has passed away. This shakes Lydia and Julie, who reevaluate their goals and decide to focus more on being supportive of the friends they have. Unfortunately, their well-meaning schemes almost immediately start to go awry, and everyone seems to be mad at them for reasons beyond their control. How can they be better friends when no one seems to want to give them the chance? 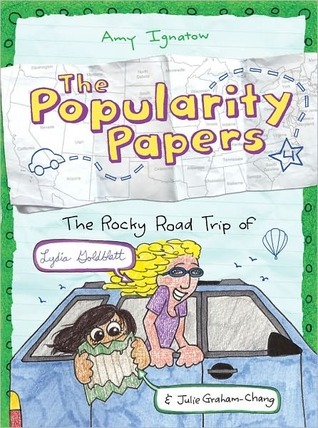 It’s summertime, and Julie and Lydia are going on a road trip! After all the ups and downs of their first year in junior high, they’re looking forward to seeing the sights and getting some new perspective on their quest for popularity. Papa Dad and Daddy will provide the transportation, and they’ll provide the entertainment. At first Julie and Lydia use their Powers of Observation to catalog the traditions and oddities of each new location they visit, but soon their attention turns to parents and family and negotiating sensitive family dynamics. 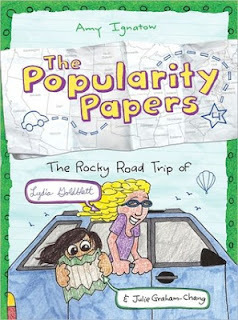 Fresh off their epic summer road trip, Lydia and Julie are back and ready to take seventh grade by storm. Well, Lydia is: She wants to start a band, and she’s convinced Julie to join her. The Macramé Owls are joined by Roland (expert at the hardingfele) and Jane (expert at drama). None of them, unfortunately, are experts at rocking out. 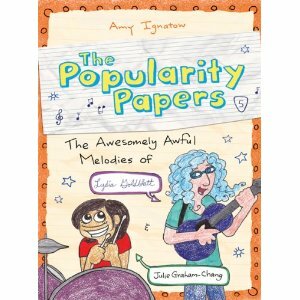 The band needs more practice, but instead Lydia and Julie find themselves riding an unexpected wave of popularity to their own belated birthday party. The girls may have accidentally stumbled upon the secret to popularity—if only the secret weren’t so completely humiliating. 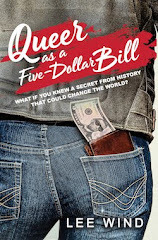 My thanks to the wonderful staff at Children's Book World in Los Angeles for the heads-up about this series! Add your review of any of the five books so far in The Popularity Papers series in comments!